I’ve experienced many ailments in my 28 years. Rickets. Scarlet Fever. (Yes, seriously). But never sinus infections. That is, until last year, when I experienced my first sinus infection ever. I now understand what all the fuss is about – they’re awful! Since then, I’ve experienced one more sinus infection and I hope to never experience the pressure, headaches and loss of smell that is characteristic of this all-too-common problem. Thankfully, I’ve found some natural remedies that help me treat my sinus infections and prevent them from happening again. Sinus infections (sinusitis) are an inflammation of the sinuses and can be caused by viral, fungal or bacterial infections. When our sinus openings (sinuses are air-filled cavities in the skull) become blocked from inflamed tissues or mucus build-up, they can become infected. Sinusitis can also be a symptom of intolerances to certain foods or pinched nerves, which can cause inflammation in the body. Many doctors will prescribe antibiotics or recommend over-the-counter nasal sprays, but, as our name implies, we like to take a natural approach. The following suggestions can help treat the symptoms while also addressing the root cause of the inflammation. Essential oils are very potent remedies that can really simplify healthcare. A number of essential oils contain antimicrobial properties, making them a powerful tool for treating bacterial, viral or fungal infections. You can also add certain essential oils to your Neti Pot to irrigate your sinuses. You can help clear up a sinus infection by irrigating using a Neti Pot with a saline solution. You can find a Neti pot online or a local drug store and they often come with packets for making the saline solution you need. Irrigation can help clear out excess blockage, relieve pressure and stimulate healing. For optimal results, you’ll use the Neti pot a few times a day. If you have pure essential oils, you might also consider adding them to your solution. After you add the saline solution to your Neti pot, you can add one drop each of frankincense, rosemary and eucalyptus essential oils. Irrigate as usual. 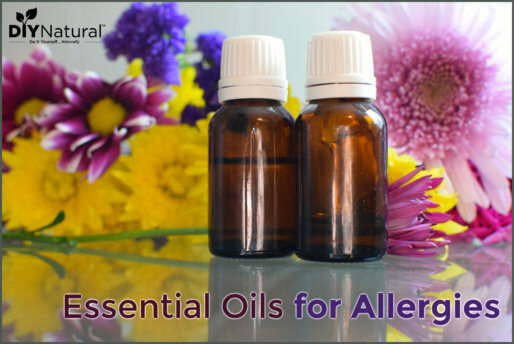 You can find more essential oils treatment options here. I love my chiropractor and will use any excuse to get an adjustment. Of course, I’d rather visit him as a preventative measure, but I’ve also found that his treatments can help me with acute ailments. While I’ve always believed in the power of chiropractic care for good health, I was surprised to learn that an adjustment can actually help treat and prevent sinus infections. Your spine might be out of alignment and pinching or pressing on a nerve, causing sinus inflammation. A chiropractic adjustment can realign your spine, removing the pressure and allowing your body to heal. Our immune system is our natural defense against illness. Therefore, boosting your immune system can help you to quickly heal and even prevent future sinus infections. Fermented Cod Liver Oil is an excellent immune system booster. It contains vitamins A and D, as well as essential Omega-3 fatty acids your body needs. Along the lines of boosting your immune system, you can also add herbs to your diet that boost your immune system. Two herbs that are known for their ability to boost the immune system are garlic and astragalus root. Garlic, the common culinary bulb, can simply be added to your food more frequently to help boost your immune system. Astragalus is a Chinese root that can be used for cooking soup. Food intolerances or allergies can be another possible cause of sinus inflammation. Eating foods that your body can’t tolerate can result in inflammation all over your body, including your sinus cavities. After some elimination and experimentation, my mom has found that whenever she eats popcorn, she immediately experiences sinus inflammation. She can avoid this problem by simply not eating popcorn. Other common causes are eggs, soy, gluten, sugar or dairy. If you suspect one (or more) of these could be the problem, remove it from your diet and note any changes in symptoms (also note any reactions when you add it back to your diet). Prevention is obviously the easiest way to treat a sinus infection. Building up your immune system is the best measure of prevention. In addition to taking fermented cod liver oil and using certain herbs, try to eat a real food diet that is free of processed foods. Also, aim to get plenty of sleep. Sleep is crucial to good health as your body uses this time to repair and heal. 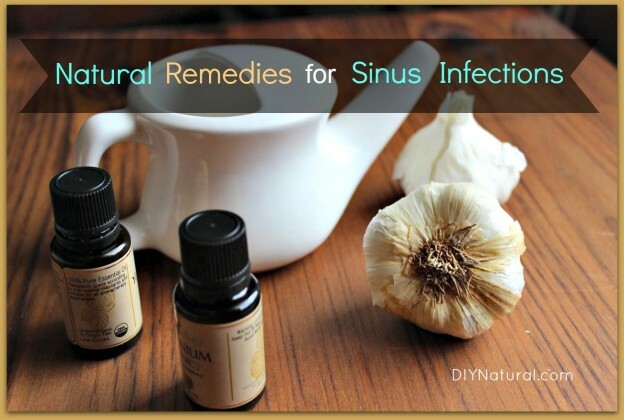 What are your favorite ways to treat and prevent sinus infections naturally? Don’t hoard, share with the community! I think I got more information out of the comments than the article!! I would also like to add that if you have sinus congestion caused by hayfever, pet allergies, etc., taking a capsule of Fenugreek also helps. I have used it for 20 years. I used to suffer from constant sinus infections. When my MD just gave me an indefinite prescription for antibiotics, I decided to find a different way. I found a book by an MD who had researched sinus problems because he got tired of giving his patients constant antibiotics. He found that the herb feverfew is an natural anti-inflammatory for sinuses. Just get a decent brand of 500mg capsules and take 2-4 every 3-4 hrs. This helps the swelling. The other recommendation was the grapefruit seed extract solution from Nutribiotic that was mentioned earlier. I used this combination for several years (until I built up a resistance to the feverfew-my body does that). After that my naturopath recommended a product that is eucalyptus oil in a gelcap. Enzymatic Therapy makes it & calls it SinuCheck. She also recommended the NeiMed bottle (I can’t do neti pots either). Besides the salt that goes into the bottle, you can add an EO, xylitol, or grapefruit seed extract, whatever works best for you. One time, when my sinuses were so inflamed that they couldn’t drain at all, my husband, an RN, suggested moist heat in the form of ‘hot as you can take it’ steamy washcloths on my mid to upper face. That opened them up enough to drain. It even seems to be helpful to the upper sinus in the forehead. I’ve enjoyed reading everyone else’s suggestions and look forward to trying some new things. I cannot use a Neti pot, but there is a wonderful device (with a horrible name) called the Neil Med you can buy at most drugstores. A Neti pot requires you bend your head sideways and relies on negative pressure to pull the water down. Between having Meniere’s Disease and no desire to feel like I’m drowning, I missed out on the benefits of cleaning my nasal passages for too long. The Neil Med is a bottle filled with sterile saline solution that you put on one nostril, lean forward (this I can do), and then you squeeze the bottle to apply positive pressure. A world of difference to me. I don’t use any EOs in the Neil Med, but I will buy the small bottles of saline spray (atomizer type) and add 1-2 drops of tea tree oil — no more! — and use that to help clear a sinus infection. Again, these things work for me, your mileage may vary. My mom has to use something similar (may be the same thing?) because of a problem she had with using the neti pot. It’s another great solution for sure! save a lot of $$. It is non-toxic and does not interfere with other meds. You can use it on your animals and plants, too!! Lemmon Grass essential oil in a diffuser next to your bed at night or your desk at work..is a life saver!! It has helped me tremendously. I received this advise from my chiropractor…I hope you try it and works for you…I purchased my diffuser & oil at Whole Foods..you can also get them at Amazon….good luck! I use distilled water in my neti pot. Just in the interest of health, anytime you suggest someone use a neti pot or any other sinus irrigation solution, please make a disclaimer that they should never use tap water. Tap water contains trace amounts of bacteria and protozoa, which is usually not a problem when you drink the water because your stomach acid does its job. But, when introducing those organisms into your nasal passages, exceptionally bad outcomes can result, including death. The only time it is safe to use tap water is if it is boiled for five minutes first. Distilled or water marked as sterile on the label are ideal to use instead. That also includes what you use to wash the neti pot in. My chiropractor told me to eat a chewable Vitamin C (500 mg) every hour. It will help your sinuses drain. I suffered terribly from sinus headaches but after I started using the vitamin C the headaches went away along with the infections. I also started eating organic and eating homemade fermented vegetables. Last summer I had sinus surgery and got a sinus infection from it. I threw antiboitics and neti pot washes at it to no avail. Then I did some research and discovered Silver Biotics was clinicly proven to get rid of them. I went to Family Natural Foods adn bought some. I put it in my neti pot and did a wash with it. A day and a half later it was gone!!!!! I told my doctor about it and he gaffed it off and said he wouldn’t reccomend it and I told him that I would use it again and for other issues as well like sore throats. Then this last December I burned my hand really bad (2nd-3rd degree) and the cream they gave me had, gues what, SILVER in it! It works! It’s natural, antimicrobial, antibacterial and nothing can become immune to it so it will be good forever! Nature works! Let it! what exactly was the brand you used? can you tell me exactly what you used and how you used it? I LOVE that you mentioned Chiropractic care. I am a firm believer and have been helped more times than I care to count with a simple adjustment for things from headaches, misaligned upper ribs, sinus infections, all kinds of back pains…the list goes on and on. I will definitely try the eucalyptus oil in the neti pot the next time I have a sinus infection. Just learning about essential oils and their benefits. Thanks for the post! Still suffer from this constantly. Constantly on anti-biotics and waiting to see specialist. Most effective for me is salt in warm water to rinse sinuses, burns like crazy, but so soothing afterwards. I suffer from environmental/pollen allergies so can’t avoid problems, but multi-vitamins help a lot too. bee pollen and honey! What an amazing combination! 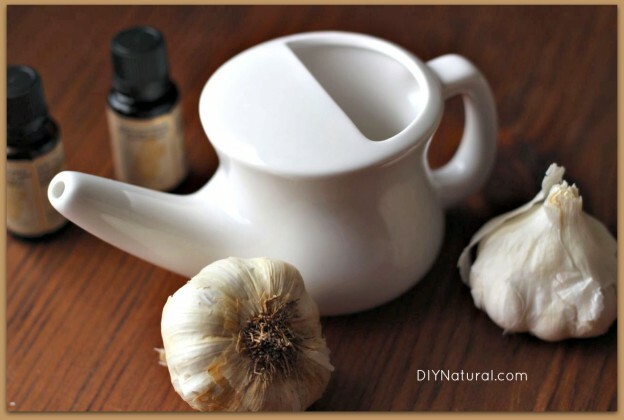 Using himalayian salt solution in neti pot has helped my husband with sinus infections tremendously. For me I have hundreds of allergies. Since using himalayian salt lamps in my home, I no longer take medication. Amazing remedy….1 TBS. Of white vinegar to 2 TBS. Of very warm warm….drink it down, every. You will notice emmediate results….do as often as needed…. In defense of chiropractors, so often people think they have had more damage done to them because many times you will feel worse after they’ve adjusted you than before you went. That often is because your back has been out for so long that the muscles on one side of your spine stretch and the other side gets shorter. When the chiropractor adjusts you, it stretches out the shorter side and can almost feels like a pulled muscle. If you don’t keep going back until those shorter muscles stretch out, they will just pull your back out of place again and you’ll be right back where you started from. The muscles are like a rubber band and have to be worked with for awhile before they will “stay put”. On the other end of the coin, I have been to a quack chiropractor once. I kept going back and realized it wasn’t me, he was NOT the chiropractor for me. where do you get your essential oils? i’ve always heard there are some better than others….but never really know how to tell the difference of which ones are good ones, and which ones aren’t. any advice? I just want to comment. I deal with sinus issues aLL-THE-TIME ever since I was a baby. They never went away. If that is like you- look into h pylori infection and getting the gut bacteria under control. I can’t take credit for this helpful tip because I’m just trying it myself, but my friend said that my allergy related sinus problems could be a reflection of the health of my colon. She recommended me eating an apple before bedtime each night along with a glass of water. My chiropractor also showed me a way to drain my sinuses using pressure points. So far, these things seem to be helping. thank you! I just tried it now, and it cleared up my sniffles! ^_^ And about what your friend said about the colon, it might be more the stomach, caused by mild reflux. Our doctor told us that it – the reflux – was what aggravated my husband’s laryngitis last year, and there was one time after a particularly yummy party where I really overate that I felt acid come up as I burped, and I felt it hit my sinuses! Talk about a wake-up call to start eating more moderately! You’re the second one I’ve seen online talking about an apple before bed. We’ll try that. Thanks! I have a question: do any of you get sinus infections in your upper sinuses? I only get them there, so there is no pressure. I just get mild headaches and start getting dizzy. My sinus openings are a little small (family problem), and this happens once a year. Does anyone have something that will work for that? I used to shoot up a mixture of salt, baking soda, and hydrogen peroxide with an ear bulb (works great for shooting up high), but nothing seems to work for those upper cavities besides antibiotics. Any ideas? Try the vinegar & water solution that I suggested above, it might help. Sorry I wasn’t quite done and hit submit. My problems were with my upper sinus’s when I was told about the vinegar water. I add a dropperful of goldenseal tincture to the neti pot solution. Make sure it is responsibly harvested though – wild goldenseal is endangered. how does your husband use it? does he take it orally, or add it to a neti pot, or breathe it in a bowl of hot water? I am looking to try anything! I’m enjoying all the other comments. I’m going to try the different versions listed in the comments because I need all the help I can get. @Shayla The comment regarding pico de gallo, can I try to add to a broth? because I dont know if my son (12yr. old) can handle the spicy taste.How would I adjust it for his age, if any. I’m so scare of the prescription drugs. Thank you. Hi! I used to get sinus infections too. I found that if you drink ACV diluted in water twice a day it goes away along with Neti pot and a natural nasal spray with grapefruit seed extract from nutribiotics. I use the neti pot with about an 1/8 tsp of Celtic Sea Salt, about 1/2 tsp of coconut oil and a really good probiotic. If you have probiotic in capsule form empty 1 capsule into the pot. I use a liquid brand called Living Streams which you dose by a dropper as it is so powerful. I use half a dropper at first as it causes some strong burning, then after a day or so slowly add a full dropper. I do this a couple times a day then once a day for 2 or 3 days after the symptoms are gone. Whenever I get sinus or chest congestion,I make pico de gallo, which is chopped onion,jalapeno,tomato and cilantro.It helps thin mucus and clear it out , plus add nutrients that you need when you’re I’ll.Thanks for the other tips! I find that if you put 1/2 teaspoon of xylitol into the neti pot before rinsing the sinuses are soothed and more resistant to congestion and the allergens in the air. Or I get a sinus spray called Xlear that has xylitol in it. I use 1 tsp xylitol in my netti pot along with sea salt and a pinch of soda and that has helped keep us all from getting any colds this winter….as soon as we notice a runny nose starting, we do the neti pot, once or twice a day also take vitamin c every hour and we have not had one cold this winter and all around us the colds were raging! Praise the Lord! How much vitamin C do you take every hour? Does it upset your stomach? I had multiple sinus infections a year (4-8) from ages 12-30. I was always prescribed antibiotics. After a year of constant infections that left the doctors shrugging their shoulders I did my own research. I’ve eliminated almost all wheat/gluten and diary, and I’ve only gotten it once in the last 4 years! My asthma has also disappeared and my allergies are better. Both wheat and dairy are mucus-forming, and I feel it instantly when I indulge. In Europe, doctors recommend shining an infrared light at the sinuses to warm them, and break up the build up…. it works really well! I used to get sinus infections with the seasonal weather changes in Autumn and Spring. A few years ago someone told me to try always inhaling through my nose, never through my mouth, if possible. Since then, I have never had a sinus infection again. Years ago I had a serious sinus infection. I was on my second round of antibiotics and was still suffering terribly. A chiropractor at my church saw me suffering and when I told him what my problem was he said to get a nasal sprayer, empty it and add about 5-6 drops of vinegar and fill it with water. I did that and had instant relief! After about a day of doing this my infection was gone!!! He told me that a lot of times people us saline when they have that problem and it is the worst thing they can do. He said when you blow and blow your nose, the acid in your nose is all out of balance and everyone (including doctors) think you need saline which just leaches the acid out more. I shared this with a lot of my friends who suffered from severe allergies and it worked wonders for them also. Just use until you feel better, it won’t hurt you. how did you ingest it? how much? the whole thing, into both nostrils? what kind of vinegar? I’m sorry, I guess I wasn’t very specific on the instructions. I used white vinegar as it is a little more acidic than cider vinegar and just spray a couple of sprays in either both or if the infection is just in one side and the other side is not having problems, just spray in the affected nostril. sorry, one more question. did you use like a sprayer, like afrin bottle, or a squeeze bottle? I have a sinus rinse squeeze bottle, but I’m not sure if it is something you need to spray or squeeze. I have tried everything but this, and am going to try it! I used a spray bottle so you get a fine mist. thank you! also, did you breathe it in when you sprayed? Yes, I kind of sniff it in to get it up into your sinus’s. If you have a sprayer that does a fine mist it doesn’t bother you. I know it really worked for me and some of my friends that had terrible allergies and their sinus’s were all stopped up, it cleared them up also. It took them a little longer because they were so stuffed up but it cleared them up. You guys are THE best!!!!! I’ve had sinus headaches all my life ( I think they turn into tension headaches on myself). I can’t wait to try these ideas! Thank you for this information. I have an 12yr old with allergies and he does get sinus infections, so I have been giving him the cod liver capsules so that he can take it three times a day. I also have been using the neti pot. I found that this has calmed his pain 80%, so I think as I compared this info to what I am doing I’m confident that I’m on the right track. I’m trying to get my hands on a great diffuser to vaporized the essential oils in the air. I can’t wait to get it. Thank you for this great information of the natural ways to help sinus infections. I’m glad I subscribed. Shere’e, I’m so glad to hear that you are finding help in this information. 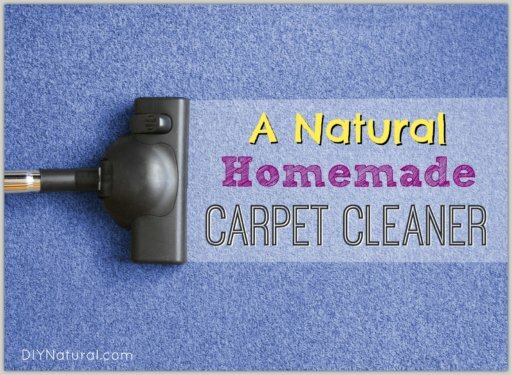 I have been following DIY for several months now and LOVE them!